So you’ve got engaged – congratulations! Suddenly, the wedding you’ve always dreamed of is on it’s way to becoming a reality, which is exciting but also quite daunting. One of the first and, arguably, most important decisions you’ll have to make is choosing your perfect wedding venue. Do you envisage an enchanting fairy-tale, traditional or rustic themed wedding? Or would you prefer to start with a blank canvas? Before you start researching, there are a few things that you need to think about first to save yourself some time and effort. Ultimately, the venue is going to be the foundation for your wedding, so it needs to fit a whole host of different criteria. We’ve narrowed it down to five essential factors that you and your partner need to consider ahead of making any decisions. Choose a location. Location, location, location… it’s one of the first big decisions you’ll need to make. 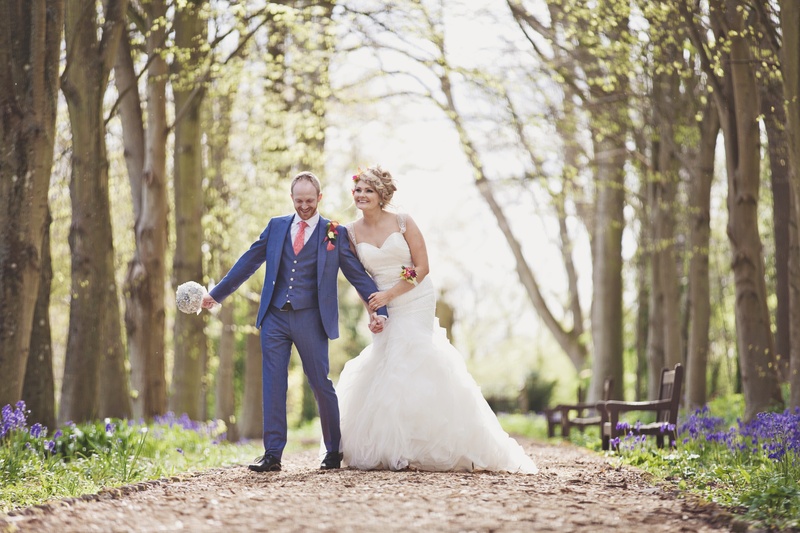 Do you want to have your wedding close to home or somewhere further afield? Often, couples choose somewhere that means something special to them, whether it’s where they grew up or a place that holds special memories. You also need to think about where your guests will be coming from and how far they’ll need to travel. If guests are travelling a long way, your venue may need to have accommodation on-site or nearby. Whittle down the guestlist. How big do you see your wedding being? Let’s talk numbers! All venues have capacity limits, so it’s good to have an idea of how many people you want at your wedding beforehand to narrow down your search. The size of the venue will also have an impact on your budget, so make a rough guest list and decide if you’d like a small and intimate gathering or something on a larger scale. Remember you can always invite those extra guests to your evening reception, they are still a part of your big day. Don’t budge on the budget. Budgeting is one of the hardest things to do at such an early stage, but you could end up selecting a venue then realising that you can’t afford that jazz band you’d always dreamed of. Break down your venue budget into categories for catering, décor and suppliers so that you know exactly how much you have to spend with each category. Ask your wedding coordinator for further advice and any recommended suppliers they suggest using to help create that perfect day. Save the date. Many people like to get married on a specific date that’s of sentimental value to them. If you have one in mind, check availability before going to visit to avoid wasting time. Many venues book up months in advance, so this is also worth bearing in mind if you want to get married in a specific season. And that’s another cost factor to remember – a weekend wedding in summer will be more expensive than one on a Tuesday in autumn. Pick a theme. If you know you want a glamorous and grand wedding, then certain types of venue will be the perfect fit. On the other hand, if you love the outdoors or want something more laidback, garden marquees and venues with large grounds will appeal. Everything from the music to the dress will need to fit your theme, so the venue has to work with all these aspects, too. Choosing your ideal wedding venue can be a difficult and sometimes tiresome task. But, when you find the one, everything else will start falling into place. 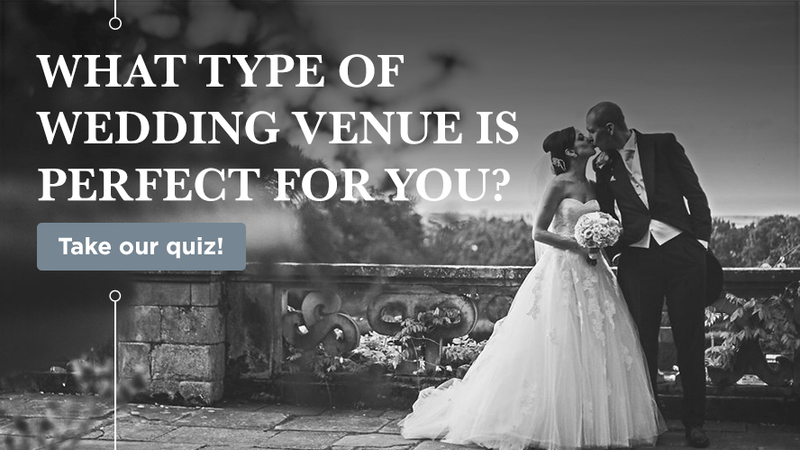 Play our quick quiz below to help you figure out what type of venue suits you most!